Florida’s Everglades are a unique vista; floating atop the Everglade’s brackish waters is like stepping back in time. This untouched landscape makes for an unforgettable fly fishing excursion. Even during the cooler days of Fall, anglers can expect great fishing action – including resident tarpon. Tarpon, Megalops Atlanticus in Latin, are revered for their polished silver flanks and epic battles. Due to these shimmering flanks, the Tarpon is awarded the title, Silver King. These fish deservedly garnish accolades. Their green or metallic-blue body, trailed dorsal fin, acrobatics, on-hook fight, and size make them one of the most fun fish to target of the Fall season in the Everglades. Tarpon don’t lie dormant during Fall, as some suggest, they patrol these waters and reward the angler with an acrobatic spectacle unparalleled by any other shallow water species. 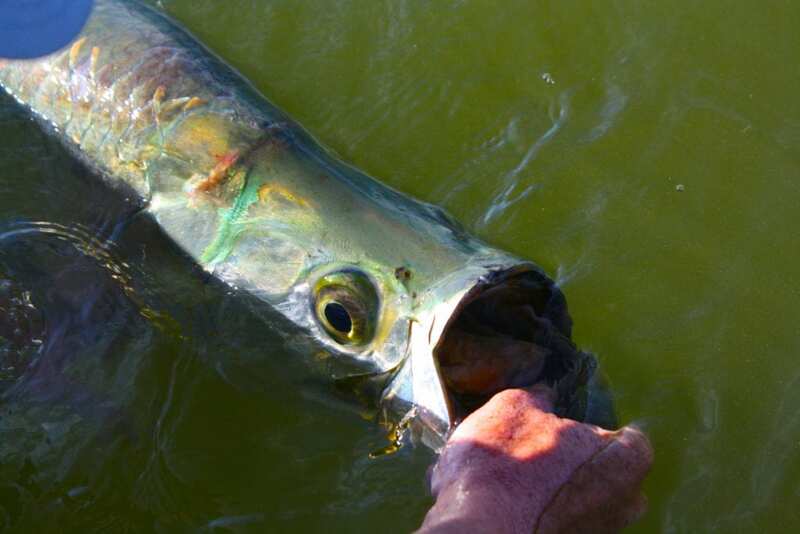 Come Fall, spawning Tarpon inhabit shallow nooks and are best sight fished from a shallow water skiff. These shallow draft boats allow for accessing the Everglades all but forgotten pathways. Tarpon do remain active in shallow water during Fall, although many anglers erroneously remove them from the target list after the summer’s peak season. October can see many big tarpon jumped in ENP. Falls Tarpon harvest is an Everglade’s phenomenon, these fish are predictable among the glade’s shallow waters – anglers sight cast to them and score an impressive aerial display! 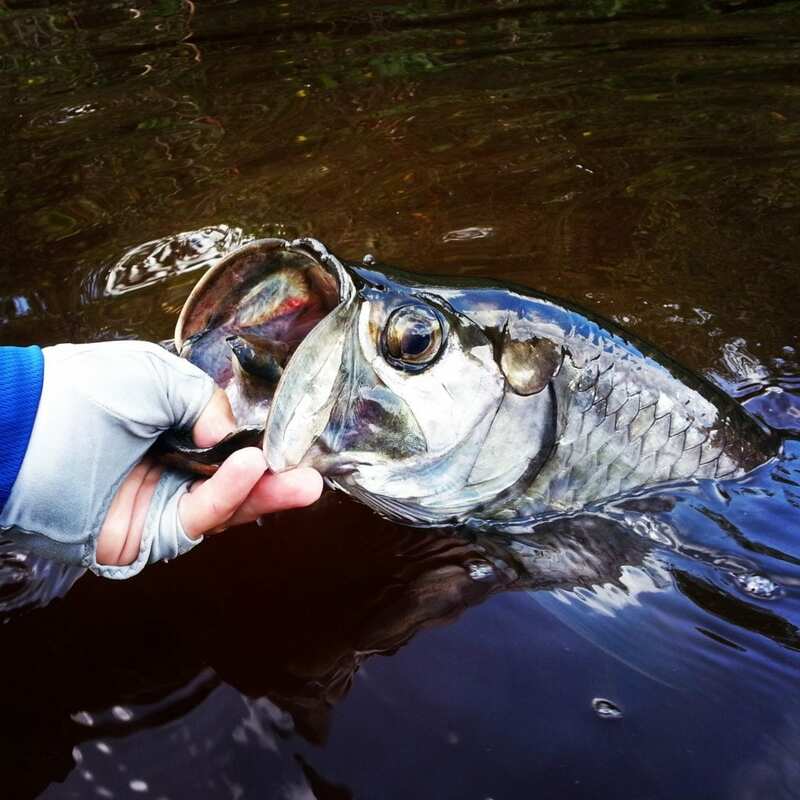 Some local anglers suggest tying on a Backwater Muddler Minnow to entice hefty Everglades Tarpon. This Fly is made of spun deer hair. These flies tend to be versatile, but Tarpon and Snook are particularly attracted to them. You’re almost guaranteed to have a productive day with this Fly. 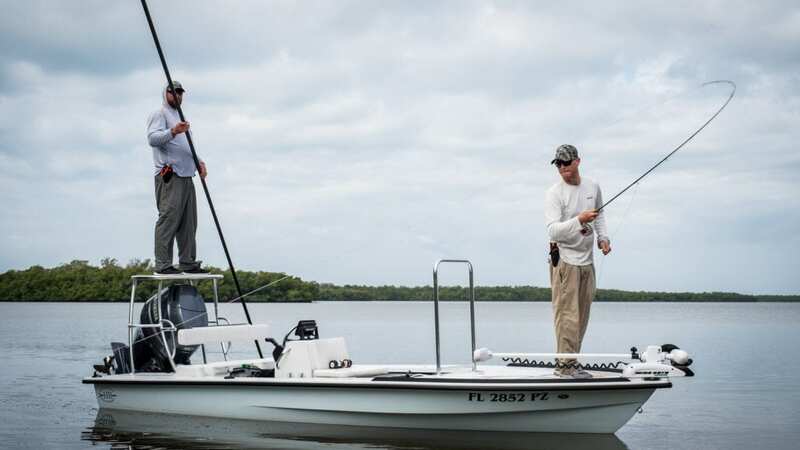 The Everglades shallow waters make for an unsurpassed fly fishing experience, the Fall is no exception. A local fly fishing guide with a technical poling skiff is your key to experiencing this fishery for the first time. The Everglades are a maze of backwater mangrove systems and it is best to experience the best of this area with an experienced professional. There’s nothing as rewarding as fly fishing the Everglades.